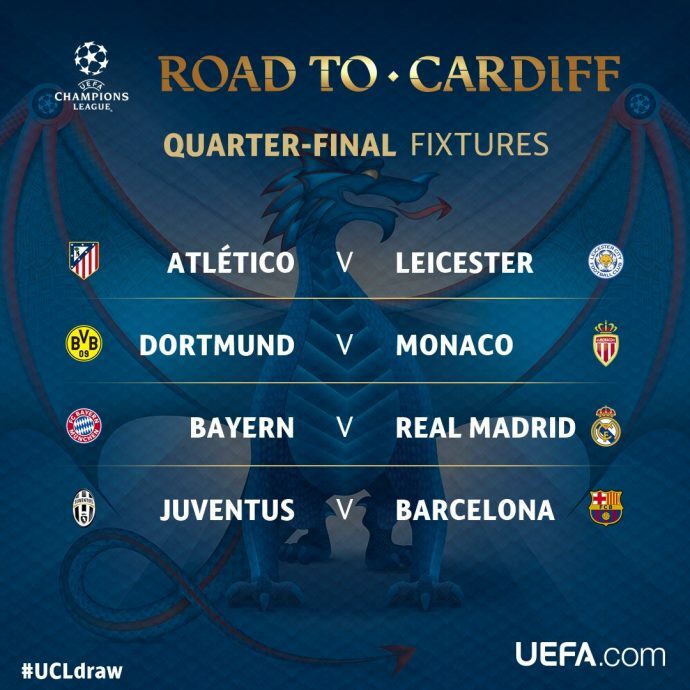 UEFA champions leaque quarterfinal berth – Royal Times of Nigeria. The Quarter final draw of the UEFA Champions League has put up some interesting fixtures. The first leg of the quarter-final matches will hold on April 11/12, while the second leg holds on the 18th and 19th.